Cops say Mark Dudzinski, 58, was driving southbound on the wide, fast-moving street and struck Waiching Chen in the crosswalk as he tried to turn his Ford Escape into 159th Avenue at around 4 p.m. She was taken to Jamaica Hospital, but could not be revived. Dudzinski remained on the scene, but was charged with failure to yield to a pedestrian and failure to exercise due care a few hours later. A review of his driving record revealed four speed zone camera violations since 2015. #NY_GVD3142 has been queried 1 time. Cross Bay Boulevard is one of New York’s so-called “murder strips,” where cars moving at high speeds mingle with unprotected pedestrians and cyclists. Since January, 2017, 56 motorists and eight pedestrians have been injured — with one motorist and one walker killed — just between 150th and 165 avenues. Chen’s death came one day after Yimei Gao, 73, was killed as she tried to cross Queens Boulevard and 56th Avenue — a spot where residents had complained that crossing times were too short. There were no charges in that case because Gao was allegedly crossing against the light. 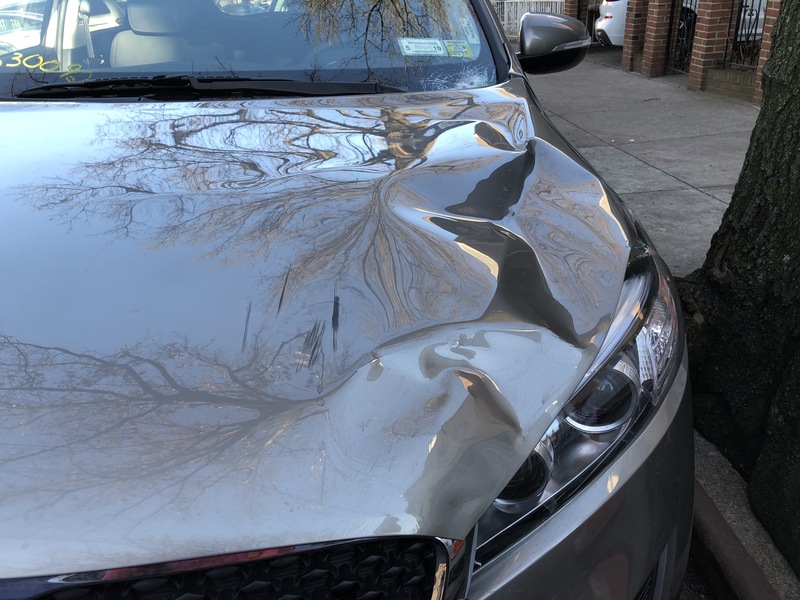 Reporter Laura Shepard later spotted the driver’s dented Kia sedan, whose severe damage suggested the driver was traveling at high speed. This is the car that struck Yimei Gao. Photo: Laura Shepard.